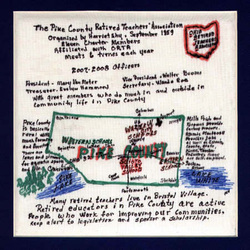 The Pike Co. RTA was organized in September of 1959 by Ms. Harriet Shy and others. There were eleven Pike County Chapter Charter Members, all of whom are deceased. However, many of the past Pike Co. RTA presidents are living and many are still active in the life of the chapter. PCRTA holds a luncheon meeting six times per year. Many chapter members participate in a variety of local volunteer activities. The chapter members do much in and outside in community life in Pike County. Pike County is basically a rural area with much farming and forestry. There are lakes and streams for aquatic sports. Retired educators in Pike County are active people who work for improving our communities, keeping alert to legislation and sponsoring a scholarship.